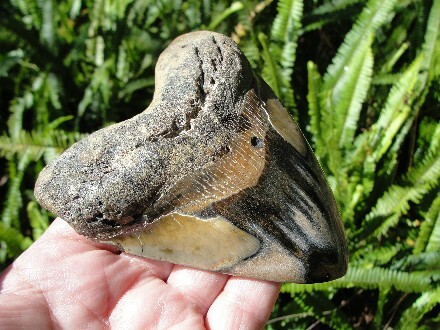 This is a great high quality polished Giant Shark Tooth Fossil. It is chocolate brown to a light brown in color with some black highlights, and a neat bourlette. 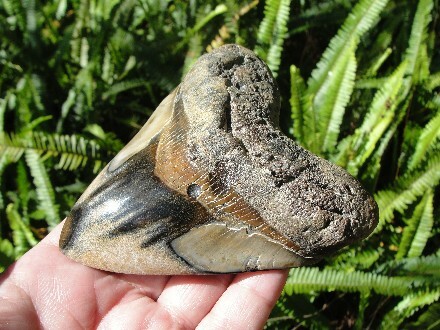 The tooth has been polished with a diamond polisher. 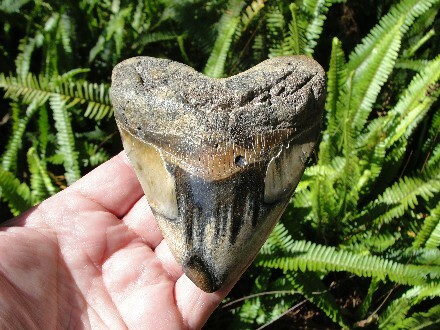 Solid root on this Fossil Meg Tooth. 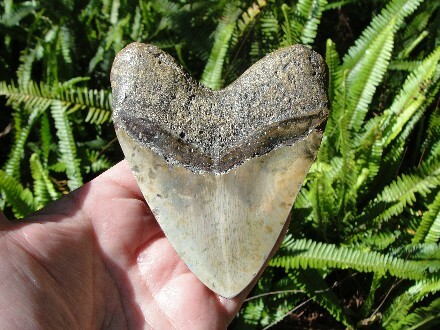 Actual specimen pictured & guaranteed authentic.